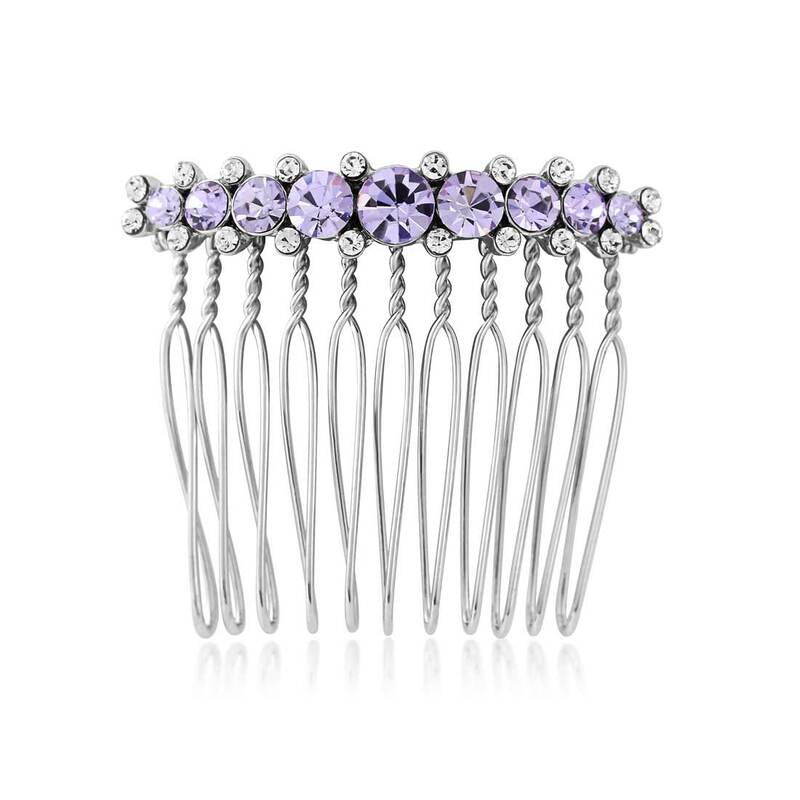 With a hint of 1950s retro charm, this shimmering lavender crystal comb is just delightful. Adorned with the most beautifully striking shade of lavender, our aptly named Allure of Lavender Hair Comb is nothing short of mesmerizing. With petite contrasting accents of sparkling clear crystals, the effortlessly elegant silver tone design comes alive with its glorious hues. Channeling 1950s retro style, this pretty lilac hair accessory is the perfect finishing touch to accessorise with a cute tea length dress or charming floral print midi skirt. Team with hues in the purple spectrum, fresh mint green or crisp white for a chic yet feminine look. Brides with a lavender wedding theme will adore Allure of Lavender Hair Comb. Whether as a burst of colour to coordinate with a purple and lilac bouquet or as a bridesmaid accessory, this pretty comb will bring your colour scheme together with exquisite elegance. With a range of jewellery to mix and match to create and enhance your special day, your wedding will radiate will luscious lavender hues.